Raised by her widowed mother in genteel poverty in the 1920s in an isolated English village, for the past six years Rachel Woodley has been working in France as a nursery governess. When her mother unexpectedly dies, she returns to England to clear out the cottage, and finds a scrapbook full of cuttings from London society pages--all pictures of her supposedly deceased father, very much alive. He's an earl, socially prominent, with another daughter who is living a charmed life: a debutante, much photographed, and engaged to a rising Tory MP. Rachel's cousin confirms the horrible truth: her father is alive, with a legitimate, acknowledged family. Which makes Rachel...not legitimate. Everything she thought she knew about herself and her past--even her very name--is a lie. Still reeling from the death of her mother, and furious at this betrayal, Rachel enters into an uneasy alliance with a mysterious man-about-town, who promises her access to her father. 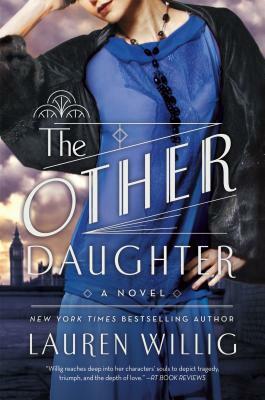 With his help, Rachel sets herself up in Roaring Twenties London under a new identity and insinuates herself into the party-going crowd of Bright Young Things, with a steely determination to unveil her father's perfidy and bring his--and her half-sister's--charmed world crashing down. Very soon, however, Rachel faces two unexpected snags: she finds she genuinely likes her half-sister, Olivia, whose situation isn't as simple it appears; and that Rachel herself might just be falling for her sister's fiance.